Most people who have owned and used an iPhone or iPod touch probably have little or no trouble figuring out how to use the iPad, as it is a much similar device. But if you’re new to the device, there are two free iPad guide books available for download that you can read right on your iPad. Both of these guides are available in iBooks Reading Ebooks on the iPad With iBooks & Amazon Kindle [Mac] Reading Ebooks on the iPad With iBooks & Amazon Kindle [Mac] Read More , which you may want to download [iTunes link] beforehand. Less than two months after it released the iPad, Apple has posted its official iPad User Guide. It’s a 153-page ebook that can be downloaded directly into the iPad e-reader app, iBooks [iTunes link. In fact, the book is currently at the top of the Free Books list in the iBooks store (at the time of writing). If you haven’t done so, simply download the iBooks app from the App store, open it and tap on Store in the upper left corner. Click the Top Charts button at the button of the store page. If by the time you read this, the iPad guide book is not listed in the top free books, do a search for its title within the app. It takes less than sixty seconds to download. If you’re giving the iPad to someone as a gift who doesn’t have a background with Apple mobile devices, this guide would be a perfect resource to help them get started. 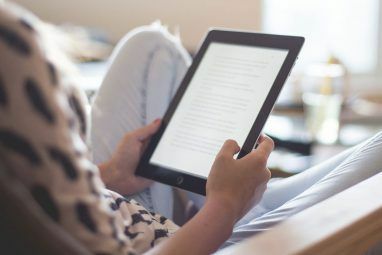 If you”˜re needing more information about how to use the iBooks app itself, check out my MakeUseOf article Reading Ebooks on the iPad With iBooks & Amazon Kindle [Mac] Reading Ebooks on the iPad With iBooks & Amazon Kindle [Mac] Read More on the topic. Or you could simply open to the table of contents in the iPad User Guide and navigate to the chapter about iBooks. The Settings chapter of the guide is very useful to check out because it explains many features that those new to the device might not be aware of. It explains for example, Wi-Fi and Network settings, Celluar Data, Bluetooth, Location Services, the settings for the various default applications, e.g. iTunes Store, Safari, Maps, YouTube, for the iPad. The final chapter is Tips and Troubleshooting, which is probably a section you will want to read and highlight in its entirety, for we all experience problems with such devices from time to time. One of the most popular magazines for Mac users, Macworld has also released a guide. It’s iPad Starter Guide is oddly not in the iBooks store, but you can read about it and download it from their website. The page will also explain how to get the ebook into the iBooks app. The Macworld guide is just as well illustrated as Apple”˜s guide, with screenshots and how-to instructions for easy reading. It also includes summary reviews of iPad accessories, e.g. 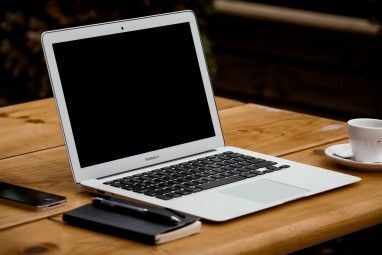 the iPad Keyboard Dock and the 10W USB power adapter, as well as a concluding chapter featuring reviews of its ten suggested apps. Neither of these iPad guide books are comprehensive, nor do they try to be. They are simply useful for those new to the device. Let us know what resources you have used to learn about the iPad. MakeUseOf will continue to publish how-to articles, app reviews, and useful tips related to the iPad. Why's it always got to be him ? Women are 10 times worse then men! And I'm a female ! Women are pig's! i just want learn how yo turn on "facetime" when my granddaughter facetimes me! Zholy, nice list of free apps. Thanks for sharing.